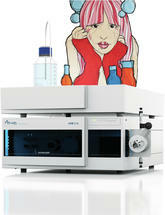 What Do You Wish to See in Your next HPLC System? Elements of the new AZURA HPLC platform. Small-scale UV detector, compact HPLC system, and preparative HPLC with L-size components. AZURA Preparative HPLC – high pressure gradient system for LC purification applications. AZURA Detector 2.1 S, small variable wavelength UV detector. The AZURA® HPLC product line was developed to easily adapt to a variety of applications, since in laboratory practice demands can change quickly. What will you do for example when you are into analytics normally and get the demand to purify some product, which requires more substance for follow-up studies? Will you purchase new equipment? With AZURA it is possible to solve analytical HPLC tasks as well as advanced preparative HPLC separations. Your existing AZURA elements can be easily supplemented with additional functions if required. This way you only have to buy equipment that you really need. AZURA features elements for high pressure solvent delivery, degassing, detection, injection, switching, and fractionation. 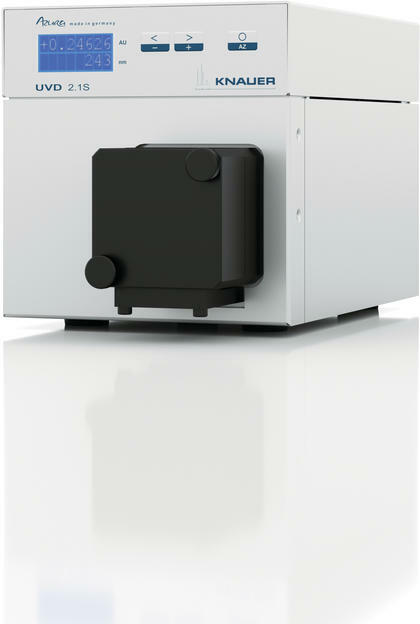 There are small AZURA components in size S with basic functions and larger stackable L size components, which allow building equipment for HPLC and more. In addition to great versatility, reliability, safe handling, and usability are our focus. Up-to-date pump technology with features such as a pulsation compensated drive and a selectable constant flow or constant pressure solvent delivery. Automatic piston seal wash function for extended seal life, especially when working with buffer solutions. RFID pump head recognition not only is comfortable, but also GLP compliant and helps meeting maintenance intervals. All pumps can be equipped or supplemented for gradient operation. The availability of a high pressure pump in ultra-compact format, theAZURA 2.1S is also noteworthy. The smallest AZURA pump can deliver flow rates from 0.01 to 10 ml/min. The largest AZURA pump can supply solvent at flow rates from 0.1 up to 1000 ml/min. What Makes the AZURA Detectors Stand Out? A large selection of flow cells allows the use of the detectors over a wide concentration and flow rate range – from a few microliters per minute up to 10 liters per minute. Fiber optic flow cells enable remote placement and detection in environments, which otherwise wouldn’t allow operation of a detector. The AZURA devices can be controlled via several software packages (currently OpenLAB CDS EZChrom1 and ClarityChrom2, more are planned3). The elements of the L-series can also be equipped with a touchpad control unit to be operated autonomously. A special feature of AZURA HPLC is its support of preparative tasks with the corresponding versions of chromatography software. So you can work in the same software environment for analytics and product purification. Which AZURA Solutions May We Present to You? HPLC with optimized flow path and eluent supply up to 700 bar. Take full advantage of latest core-shell columns to achieve sensitive and high resolution results. A wide range of injection volumes (0.1 to 5000 µl), flow rates (0.01 to 50 ml/min), and available flow cells makes AZURA adaptable to your application needs. 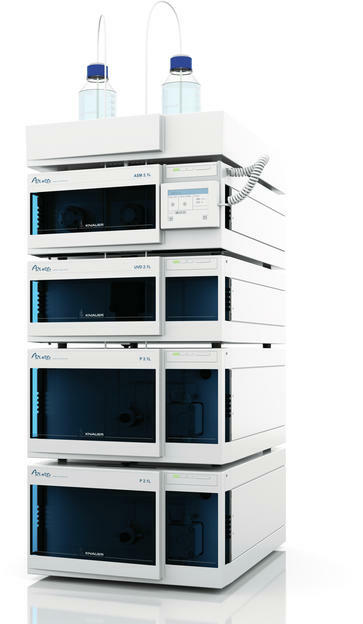 An analytical HPLC system, available as an isocratic or high pressure gradient system. Due to its compact dimensions, it fits on any laboratory bench. Nevertheless, it boasts high technical performance and is suitable for many standard applications. Specially priced package offer for training only. 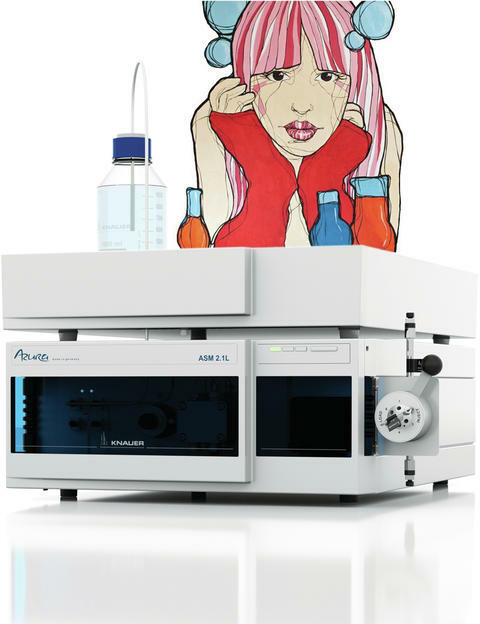 An isocratic HPLC system based on the AZURA Compact HPLC bundled with computer and chromatography data system, as well as teaching materials. 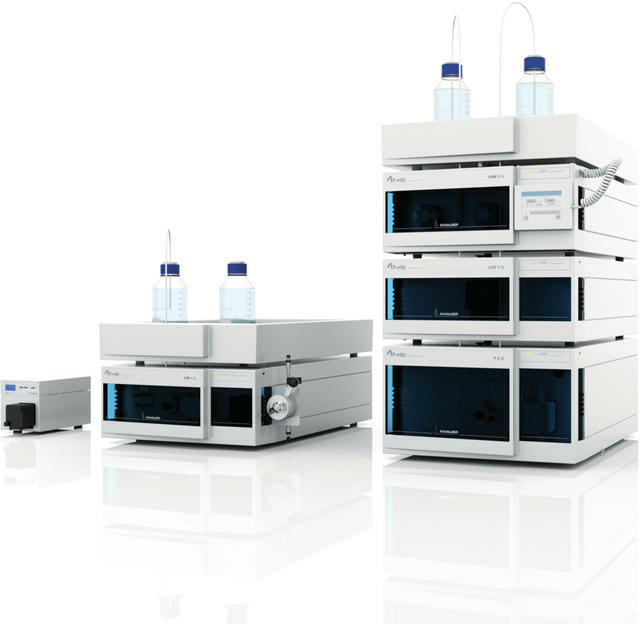 An advanced HPLC system for HPLC purification tasks. Available for flow rates up to 1000 ml/min, it supports gradients, easy scalability, solvent recycling and other features. You can give your L-format components a personal touch, by choosing from a selection of available colors for the side panels.